I qualified as a garden designer in 2009 with an HNC Garden Design with distinction from Scottish Agricultural College in Aberdeen. To complement this I also studied at Aberdeen College for the RHS 2 Certificate in Horticulture which I gained in 2007. I am also the factsheet writer for The Beechgrove Garden TV programme – Beechgrove Garden Factsheets – and write a monthly gardening column for the Inverurie, Ellon and Turriff Advertisers. 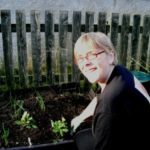 I am a gardening tutor at Gardening4Kids and also a qualified Forest School Leader (Level 3 Practitioner) running a local Forest School called Woodlands4Kids. In a former life I gained a joint honours degree in German and Librarianship from UCW Aberystwyth. I worked at the BBC for over 18 years in libraries and archiving gaining an MBA Diploma and MA in Information Management along the way. I was also part of the team which developed the first digital library system in the BBC. 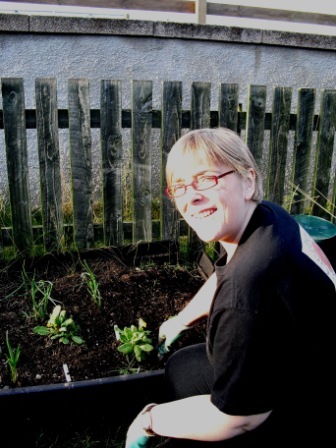 I have been interested in gardening since owning my first house in Bristol in 1997. Having worked in the television industry for so long I have a good visual awareness and this coupled with my IT skills and interest in gardens have led me into a career in garden design.